The IR6000 System is a modular infrared extension system and the components required are available individually. This system can be used universally and is suitable for just about any situation. You can extend the IR (infrared) signals of remote controls. It makes sure that all your AV components receive the commands sent from your existing IR remote controls. You can keep all your devices behind in closed cabinets but still keep them in use with this device. 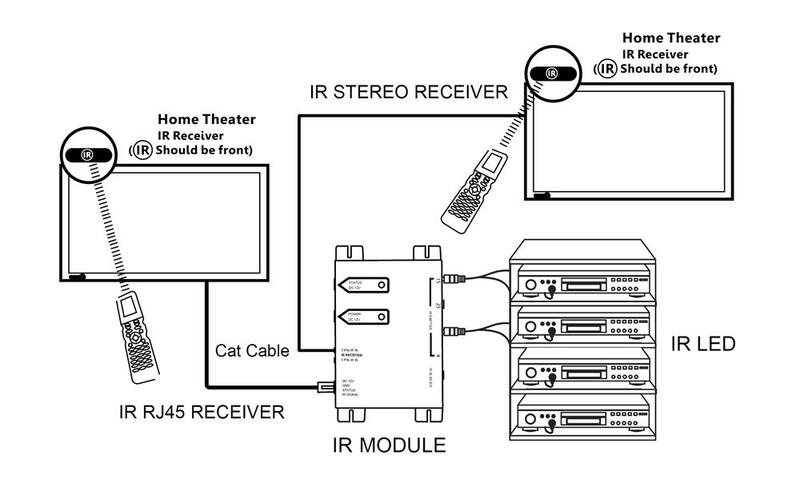 Simply place the hidden IR repeater box in the cabinet or closet, affix it to the included IR emitters/IR blaster, then place a receiver somewhere near your television and the system will let you control up to numerous individual home theatre components using your existing IR remote control.